Over the years, the Cannes Lions Festival of Creativity has not largely been viewed as a B2B-slanting event. Highlighting creativity and innovation in advertising and communications, the big prizes have often gone to high-profile consumer-facing campaigns. But the recent advances of B2B are unmistakable. This surge owes both to the overall growth of the marketing division and to the increasingly creative ways in which businesses are reaching other businesses. Let’s run through some of the key B2B marketing award winners in choice categories from this year’s event, which wrapped up in late June, in comparison to last year’s most noteworthy recipients. Not only will this serve as an overview of the top creative applications in the industry, but also as a compass for gauging what is resonating with audiences (and award panels). It’s fair to say this golden statue, defiantly placed in front of Wall Street’s Charging Bull, stole the show at the 2017 Lions Festival. Not only did it claim this gold award, but also Grand Prixs in four categories (including the coveted Titanium), nine more golds, three silvers and a bronze. Registering more than 1 billion Twitter impressions in its first 12 hours, the cultural and social media sensation brilliantly touched upon so many elements that make a great B2B content marketing campaign: timing (the statue went up on the eve of International Women’s Day), relevance (gender issues and equality are at the forefront of our societal consciousness), and brand awareness (promoting State Street’s SHE Fund). Bravo. We are all familiar with the vertical black bars appearing on the sides of YouTube videos when the dimensions don’t conform to the platform’s horizontal ratio standards. This campaign leveraged that dead space for good, allowing uploaders to “donate” those black bars by using them to promote a charitable cause of their choice. ATADOS is an organization that exists to connect individuals to NGOs, putting this effort directly in line with their vision. 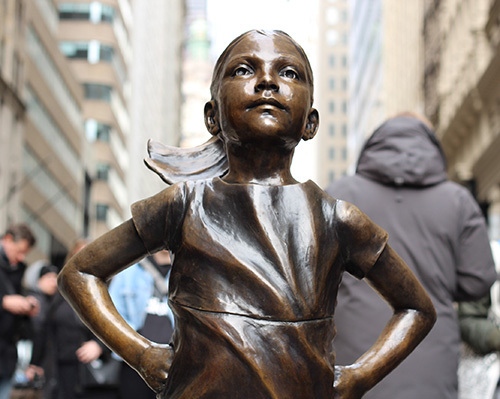 Much like this year’s Fearless Girl statue, the campaign stands out as a reminder that doing good can be good for business. Campaign: Did You Mean MailChimp? This expansive undertaking was one of the resounding hits at the festival, cleverly playing off MailChimp’s quirky name with variations that spanned several mediums. 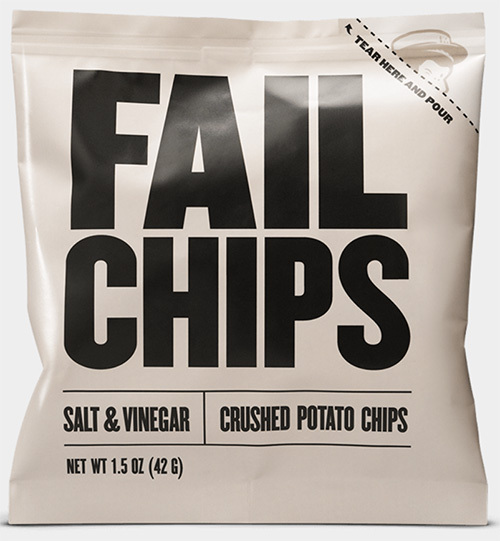 There were the short films MailShrimp and JailBlimp, the musical collaboration VeilHymn, the crushed potato chip snack FailChip, and more — all supported by paid search to drive visibility. This approach teased on the ability of search engines to recognize misspellings of common queries while recommending the truly desired result. The whimsical campaigns scored tons of earned media and social traction, demonstrating MailChimp’s superior understanding of how to reach audiences online. “There are hundreds of millions of business printers in the world. Less than 2% of them are secure.” This sobering message, presented against a black screen and backed by ominous music, sets the stage for a four-part digital series designed to underscore HP’s position as one of the most secure business printing solutions available. 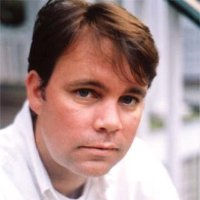 The cinematic webisodes follow an expert hacker who exploits the vulnerabilities of a financial firm, with catastrophic outcomes. Helping connect The Wolf to its target audience of IT professionals was the casting of Christian Slater, riding momentum within the niche thanks to his starring role in USA Network’s Mr. Robot, an extremely popular cyber-security-themed show about a vigilante hacker. Already well known for its enormous portfolio of licensed imagery, Getty wanted to shine a light on its library of music and sound effects, so the company teamed with agency AlmapBBDO in adding a soundtrack to one of the silent film era’s enduring classics. An embedded interface enabled viewers to seamlessly parse out each individual audio effect and click to purchase it. 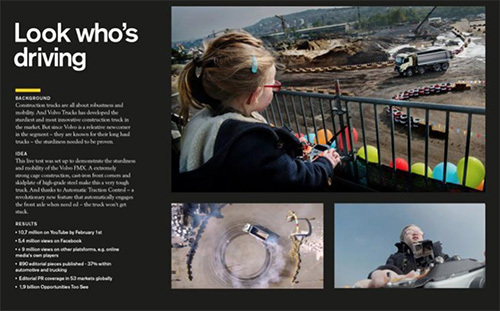 To show off the power and durability of Volvo FMX for an audience of professional truckers, this campaign placed a remote control in the hands of a 4-year-old girl and allowed her to let loose on a rugged obstacle course. The video went viral, racking up more than 10 million views on YouTube. Much like the video efforts this year from MailChimp and Getty, Volvo was able to pique the curiosity of a broad audience with a unique and fun twist, but also got across a strategic point to its most valued segment. Drawing extensive data from nearly 350 of the famed artist’s works, ING brought Rembrandt back to life through advanced algorithms and 3D printing. 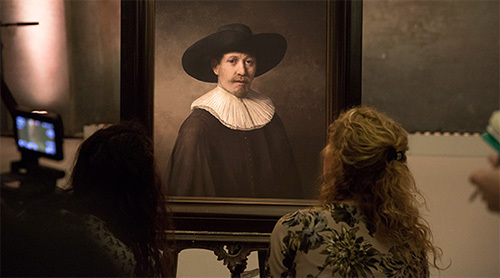 The brand-new production, created digitally and bearing uncanny stylistic resemblance to the Dutch painter’s legendary portraits, sparked global discussions about the increasing power of data to mimic humanity’s defining traits. The revolutionary campaign won awards in a dozen categories, creating universal buzz in a way you would hardly expect from a dry business vertical like financial services. If you’re looking for a big stage to display the potential for technology, you won’t find one much bigger than the Super Bowl halftime show. Deploying more than 300 customized drones in the sky above NRG Stadium as a backdrop for Lady Gaga’s performance, Intel emphatically demonstrated to pros and consumers worldwide the capabilities of a single computer powered by its tech with this dazzling synchronized light display. Many consider virtual reality to be the next major frontier in tech, and Google’s application here truly captures the imagination. Tilt Brush is a VR app that allows users to paint in a 3D space, creating a deeply immersive experience. It’s safe to say the demos of this technology in action caught the attention of artists and brands everywhere, further strengthening Google’s rep as a digital innovator and indispensable business partner. You can head to the Tilt Brush website and see numerous examples of works produced with the app. 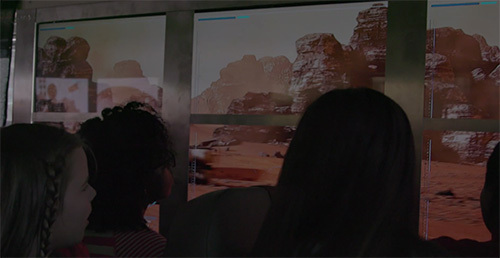 One year prior to Google’s VR paint splash, Lockheed Martin put its own interstellar spin on the technology, taking a bus full of schoolchildren through a virtual tour of Mars. By mapping a digital recreation of the planet’s surface onto the streets of Washington D.C. and using the vehicle’s windows as a display, this campaign took the typically isolating nature of VR and turned it into a group experience by removing the headsets. This stunning feat of digital engineering proved to be a dramatic exhibition of Lockheed Martin’s futuristic prestige. Code. It’s pretty dull, right? 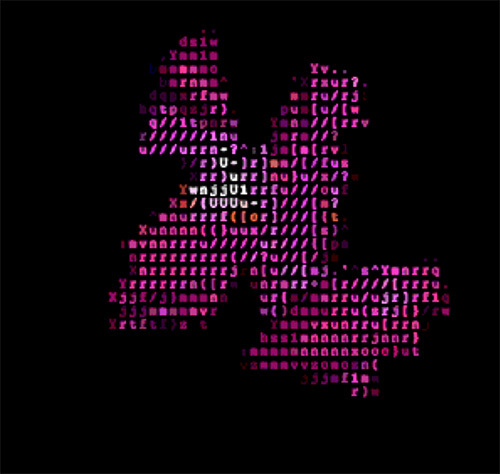 Braintree Payments wanted to change that perception by partnering with the platform GitHub on an open-source project that rendered lines of code as visual presentations in the form of colorful 3D ASCII creatures. The campaign effectively engaged Braintree’s target audience -- developers -- by going to where they already were and delivering something completely new and interesting. If it matters to marketers, you’ll read about it here. Subscribe today to the LinkedIn Marketing Solutions blog.